Decision Making and Bipolar: How Does Bipolar Affect Our Decisions? According to the Depression and Bipolar Support Alliance, bipolar disorder affects 5.7 million adult Americans. The mean age of onset is about 25 years old, and it affects both genders equally – it is also found in all ages, races, social classes, and ethnic groups. Bipolar disorder does not discriminate. How Does Bipolar Disorder Affect Decision Making? 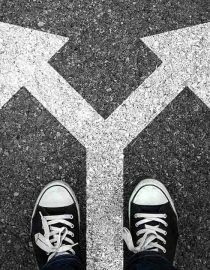 The ability to make a decision is greatly affected by bipolar disorder – and this ability changes based what state the person is in, according to Psych Central. During euthymia, or the state between episodes of mania and depression, people are more likely to make better decisions, but some people still have mild symptoms of bipolar disorder, which can and do impact their ability to make sound decisions. Impulsivity is a hallmark symptom of bipolar disorder – especially of the manic phase. When it comes to decision making, making impulsive decisions is also a symptom. Urgency: Something is wanted immediately, not later. You act on this urge to avoid any negative feelings associated with waiting for this want. Lack of premeditation: You do not think about the future. Because of this, you act before you can make big plans. Thus these big plans do not take shape. Lack of perseverance: You have poor follow-through. You get bored with things easily, thus giving up on projects quickly. Sensation seeking: You are thrill seeking, with little regard to consequences. Accountability with bipolar disorder can be tricky. If you do a Google search, some people fall on both sides of the fence – some people believe that regardless of the condition, we are all responsible for our actions, while others believe that we have no control over our actions when in certain states, such as a manic state. Regardless of how you feel in this debate, one thing is for certain – you can take control of your condition – and be accountable for taking charge of your health. You can be responsible for learning how to make decisions to the best of your ability. Learning decision-making skills can help you in all aspects of your life. First of all, it is of the utmost importance that you are taking your medications as prescribed. If you’re not taking them as prescribed, chances are, your bipolar disorder is not under adequate control, and you’re less likely to make a sound decision. Still feeling like your bipolar disorder isn’t under control? Talk to your physician before making any big decisions. Perhaps you need a medication adjustment. Second, do not feel that you need to make decisions on your own. Discuss the decision to be made with a friend or family member. While doing so, perhaps write out pros and cons. Third, take your time making the decision. When you take your time making a decision (especially a big decision! ), you are less likely to make a decision irrationally. Improving communication skills can help when trying to make a decision, especially if you are eliciting help from a friend or family member. These tips apply for people with bipolar disorder, as well as to family members and friends of people with bipolar disorder. Get right to the point rather than speaking in long-winded statements. Express feelings explicitly using “I” statements. This ensures that your point is made clear. Focus on behaviors as opposed to personality traits. Making decisions can be difficult, but by working on your skills, you can improve your ability to make decisions.